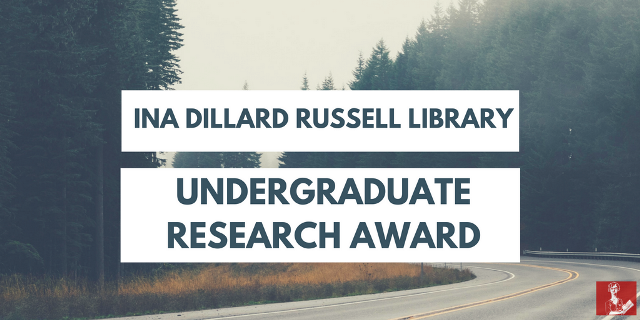 The Ina Dillard Russell Library is happy to announce the annual Undergraduate Research Award. The purpose of the award is to recognize student scholarship that utilizes library resources and to highlight the contribution the library has on student outcomes. The award recognizes up to two top scholars annually. To be considered, you must upload your paper or presentation to the Knowledge Box. You may download the Undergraduate Research Award Rubric Form to see what judges will look for in the reflective essay, research project, and bibliography.